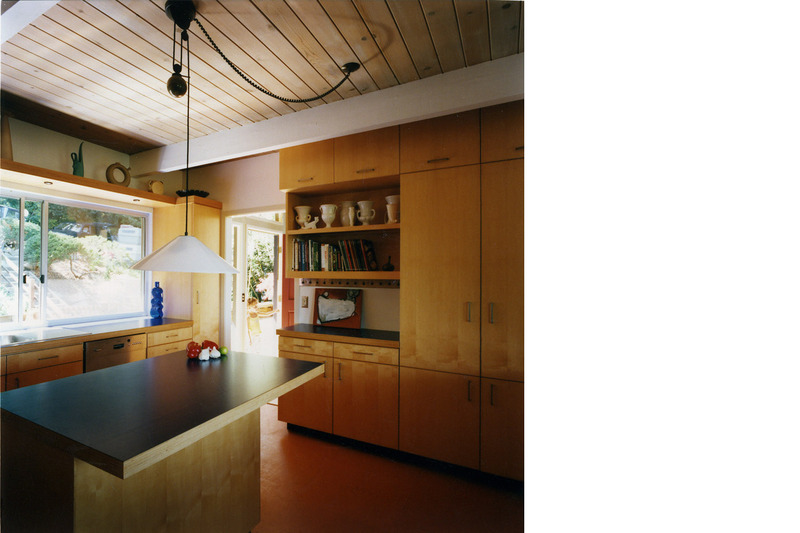 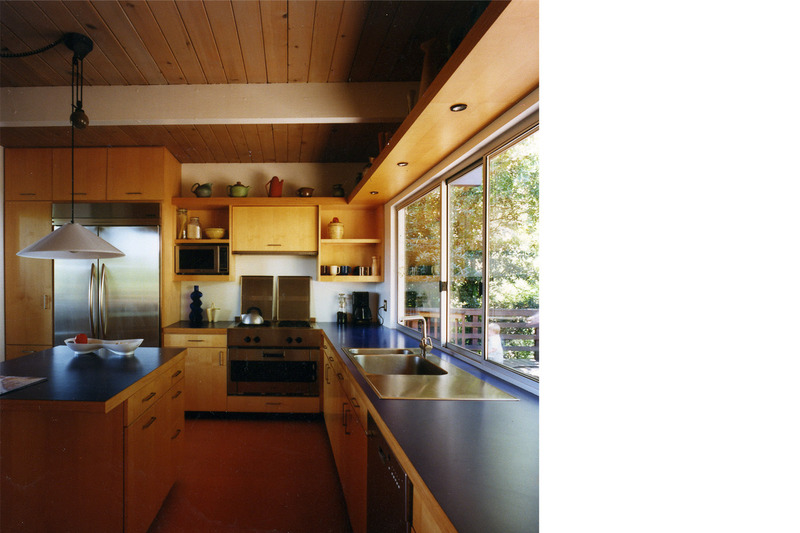 This kitchen renovation involved using simple common materials (including orange linoleum and blue plastic laminate with exposed plywood edges), working with the spirit and context of the existing mid-century house. 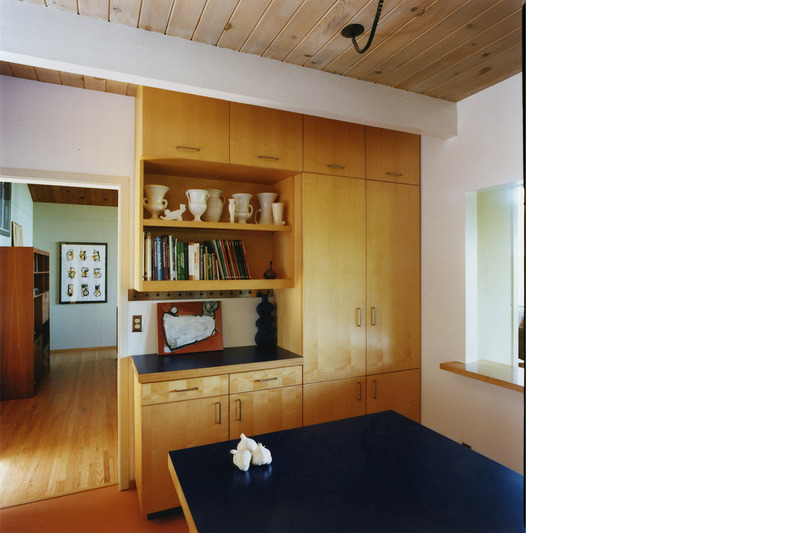 We took a small, isolated kitchen divided by a banquette and created an expanded, central space that provided the living hub of the house. 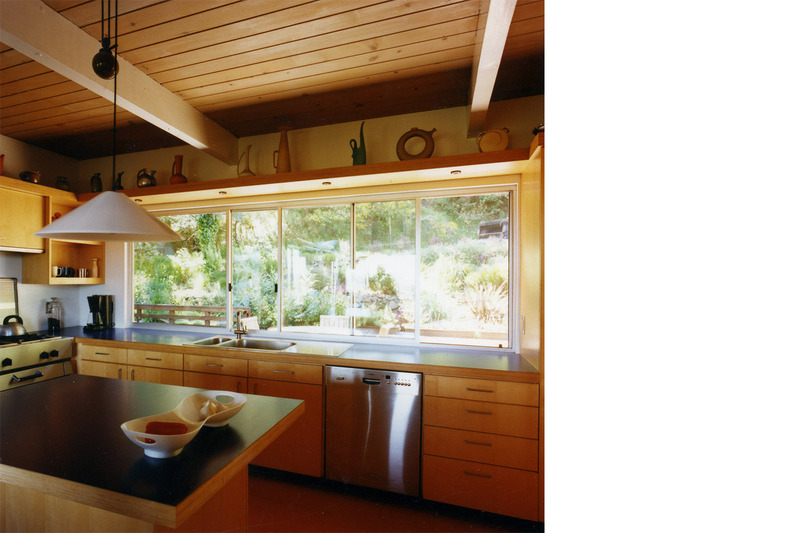 Because the clients entertain frequently, we created a large open window that connected to, and served the front private deck and garden of the home, extending the space through the openness of the large window onto the garden, co-joining the interior and exterior spaces.